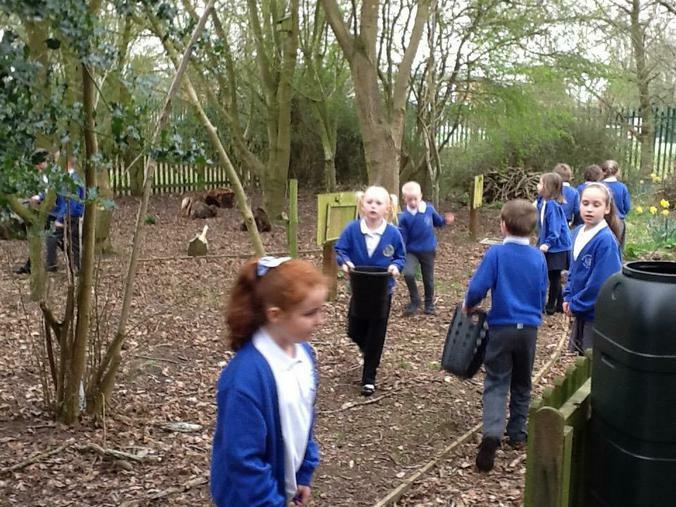 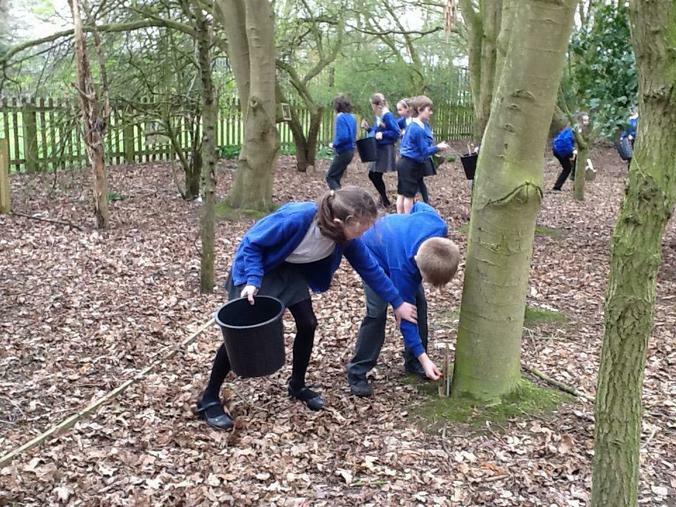 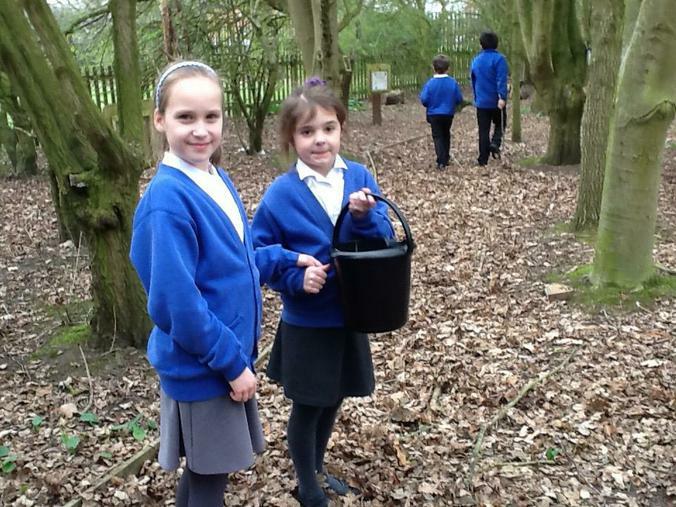 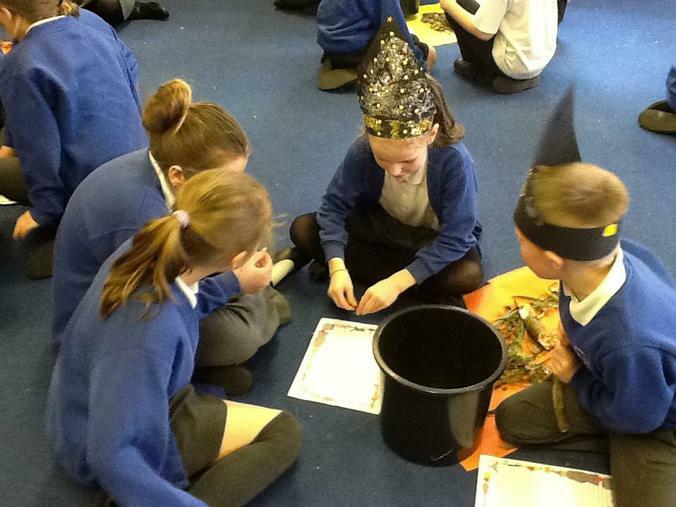 Year 3 looked at Shakespeare's poem 'Double, Double, Toil and Trouble' from Macbeth. 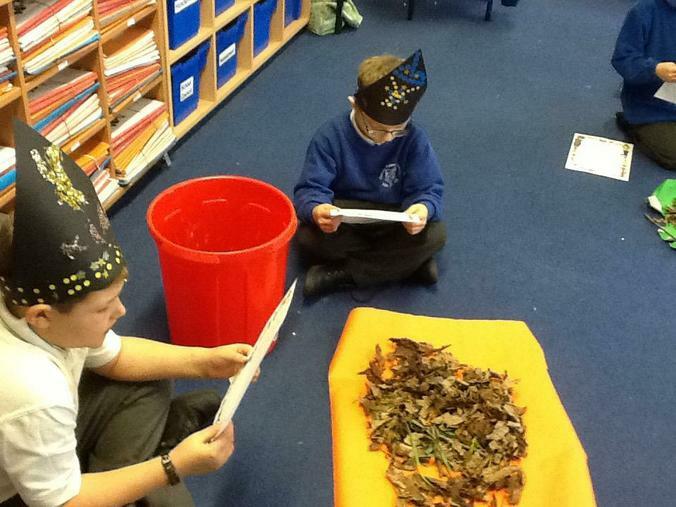 They then used the poem layout to create their own poem using rhyming couplets. 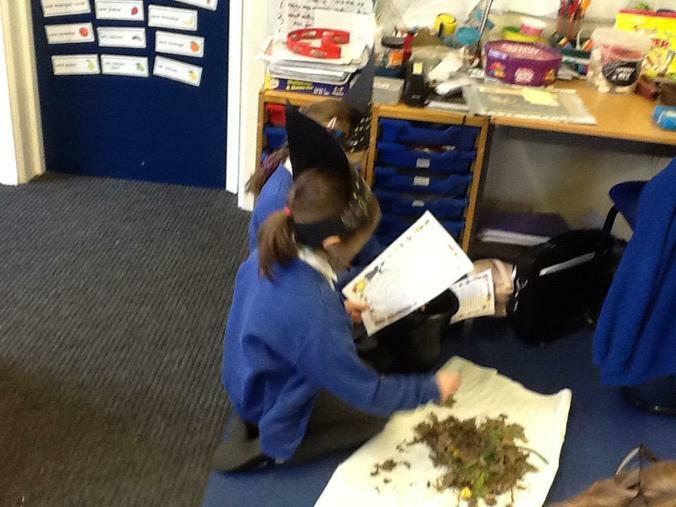 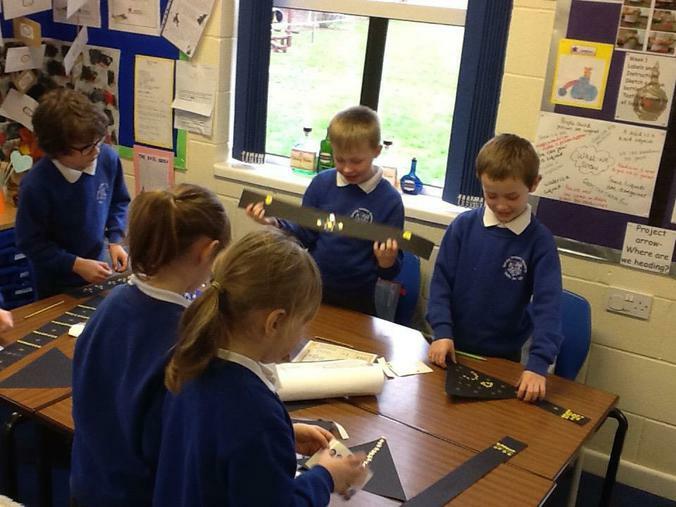 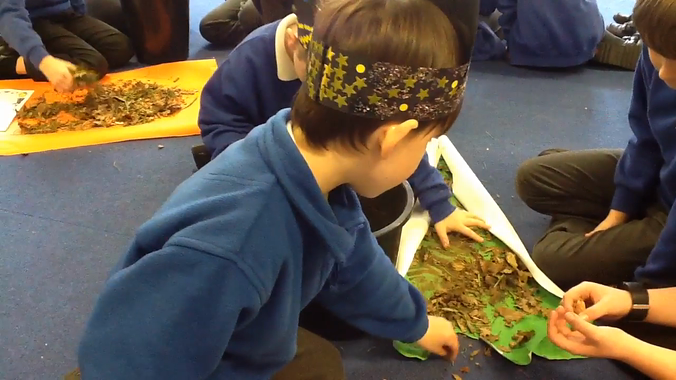 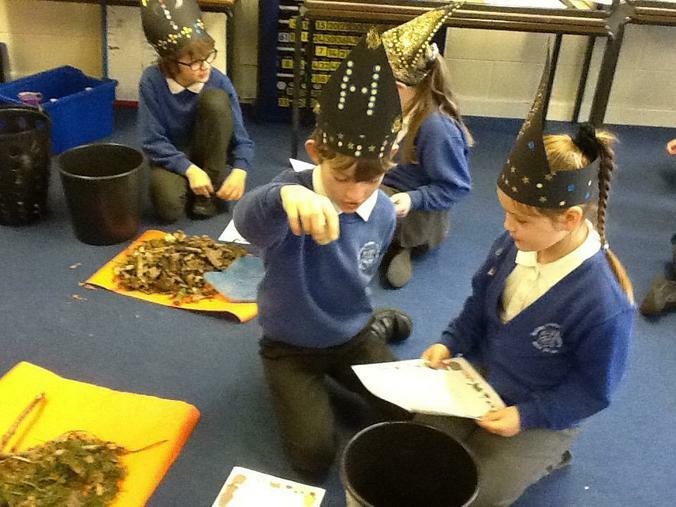 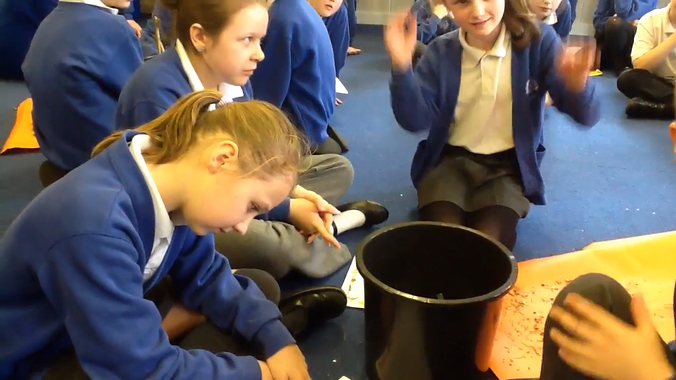 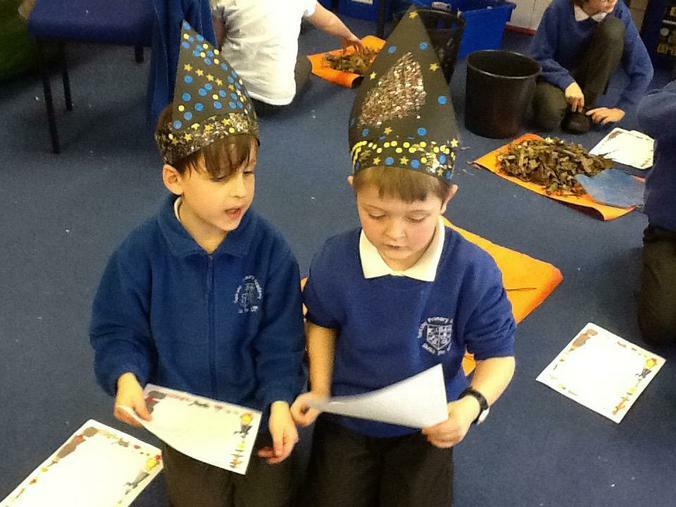 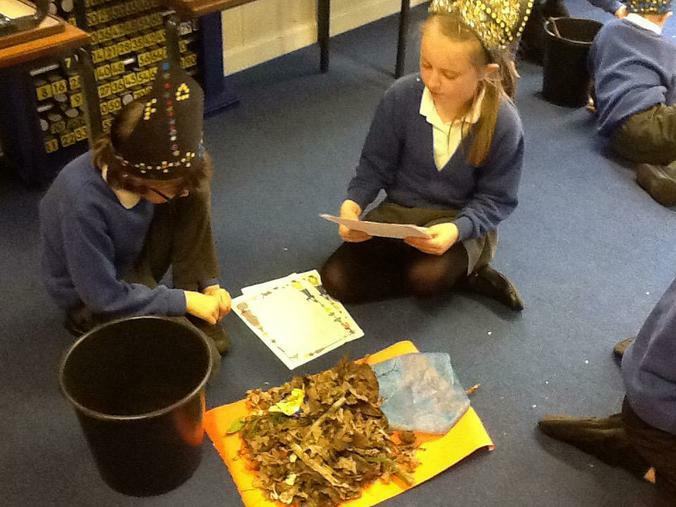 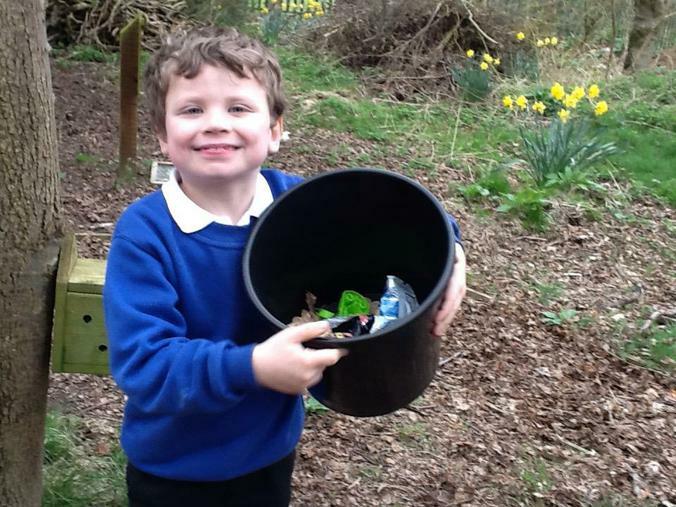 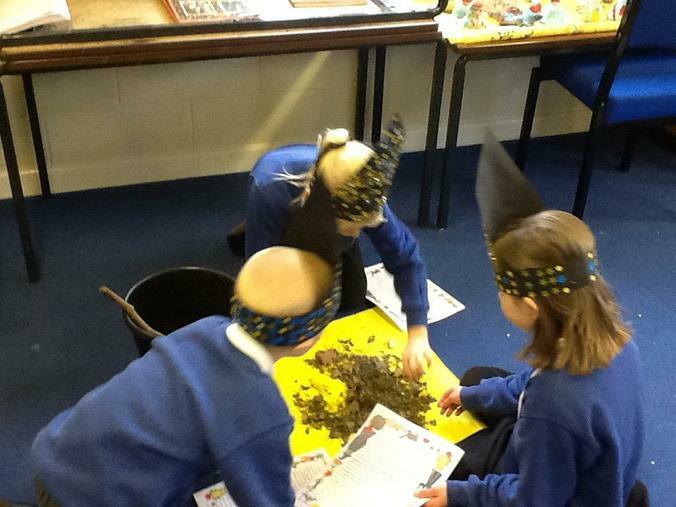 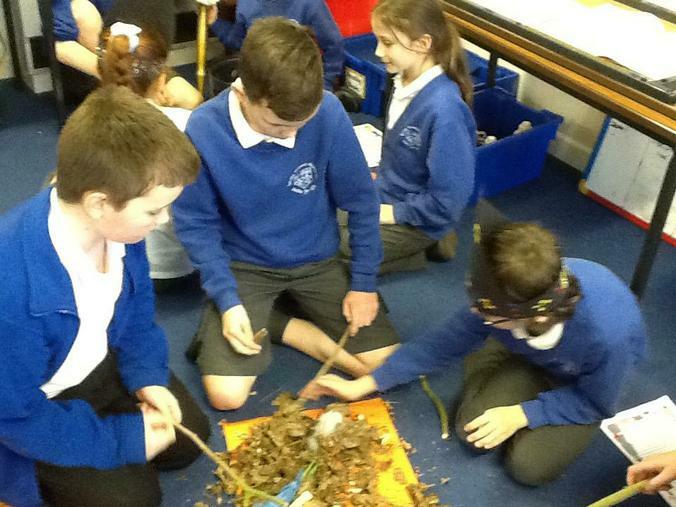 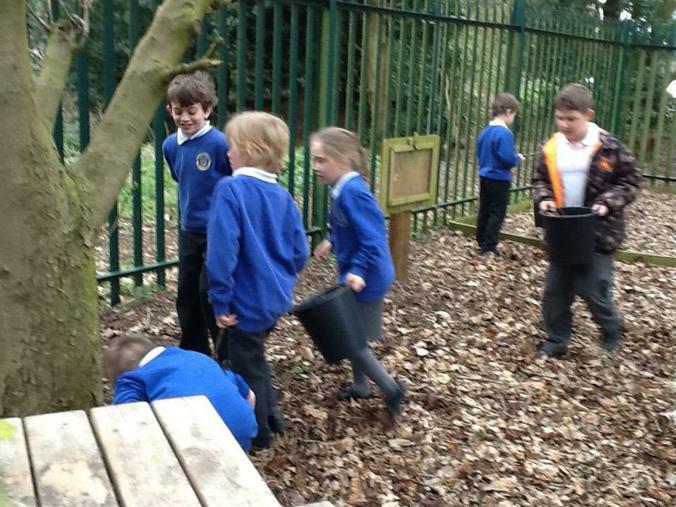 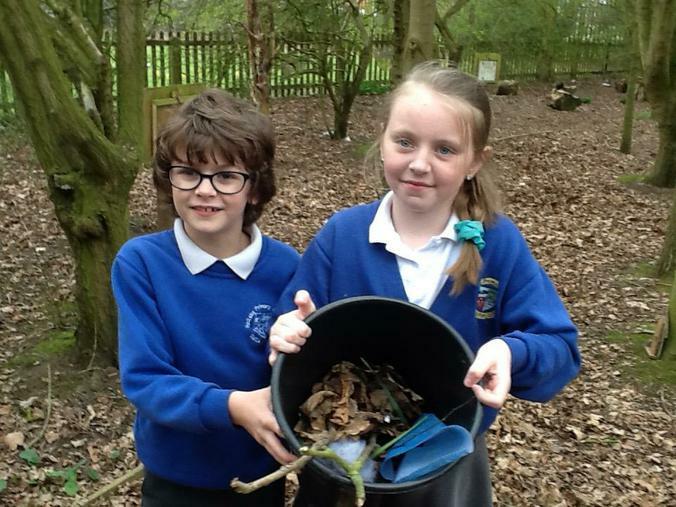 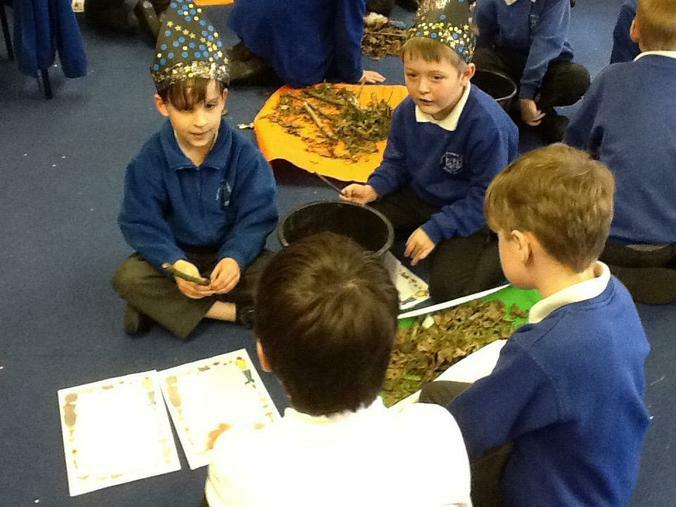 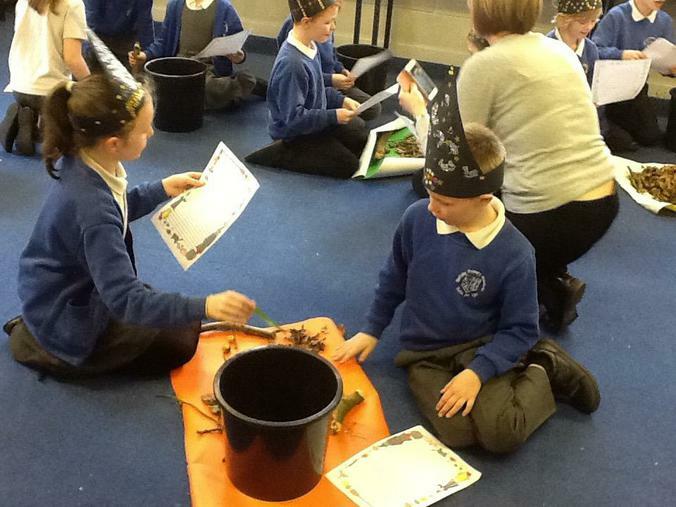 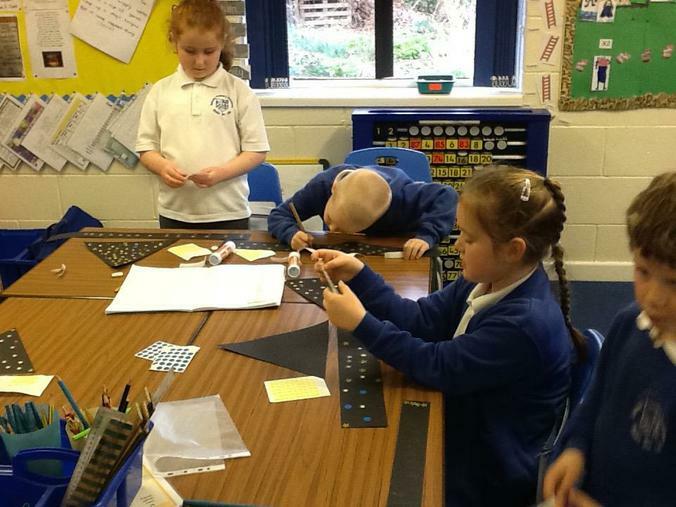 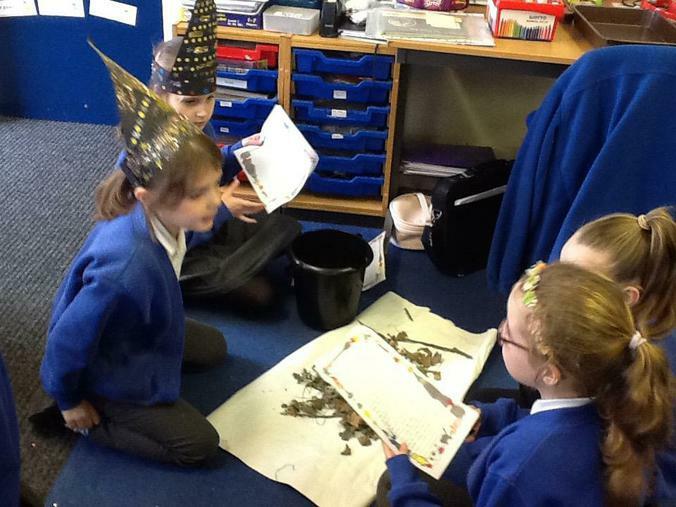 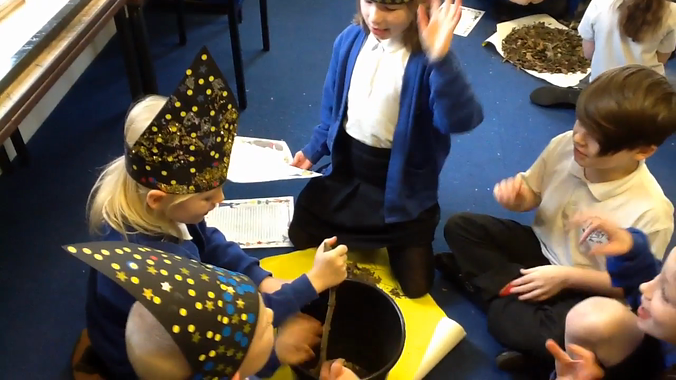 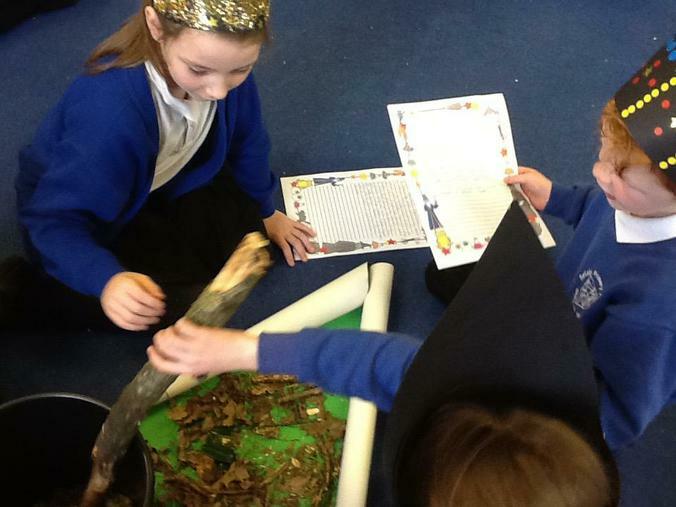 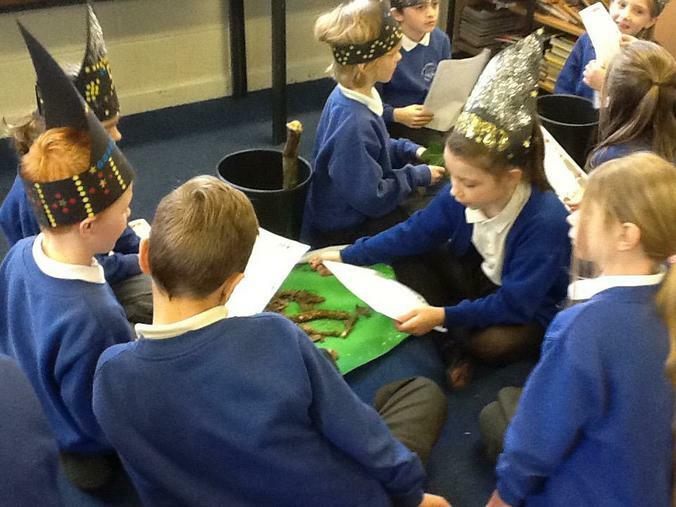 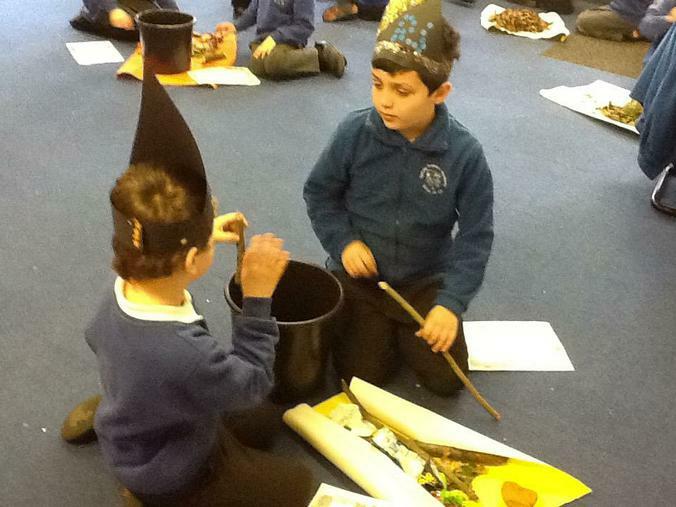 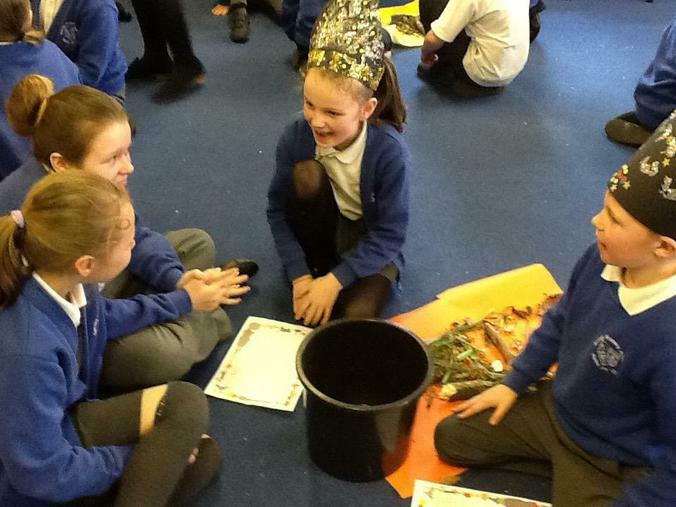 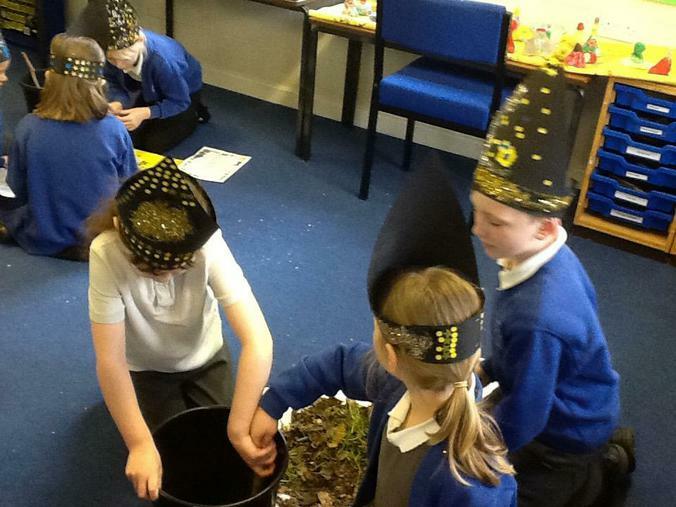 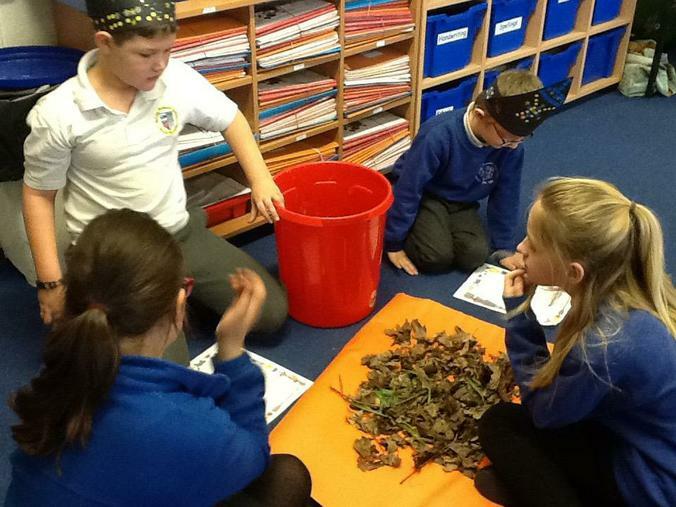 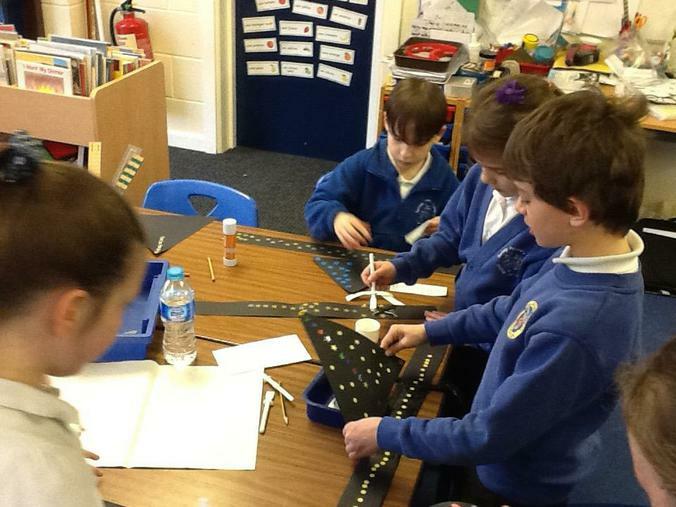 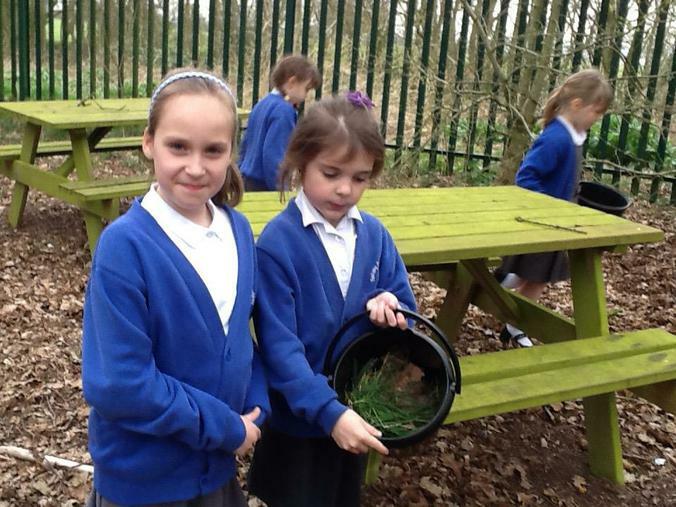 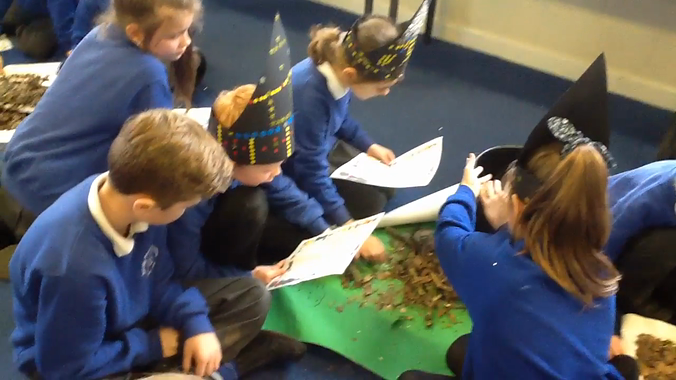 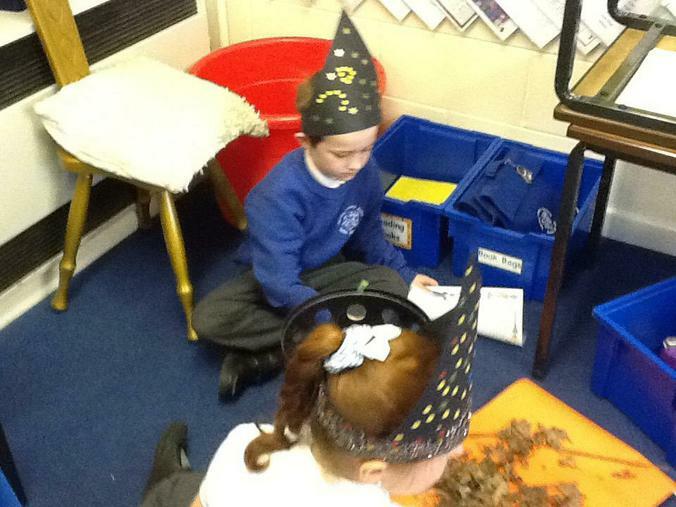 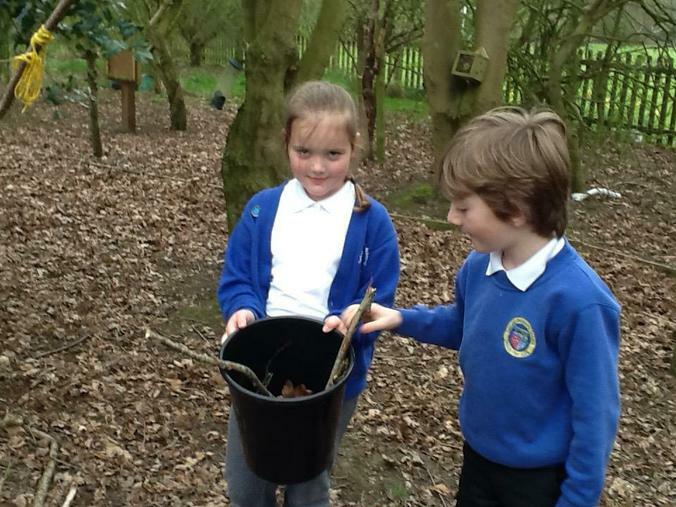 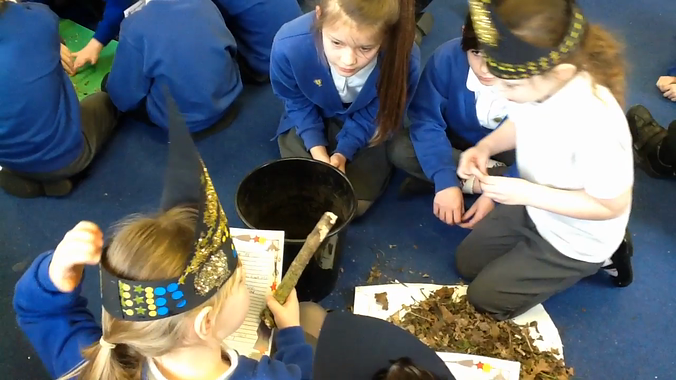 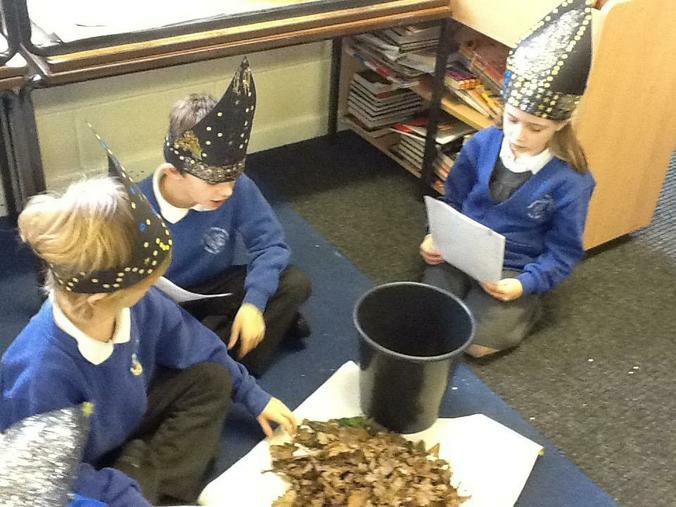 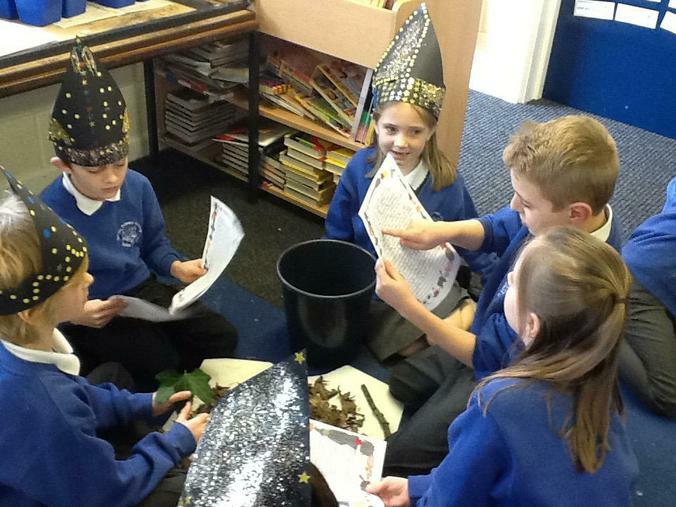 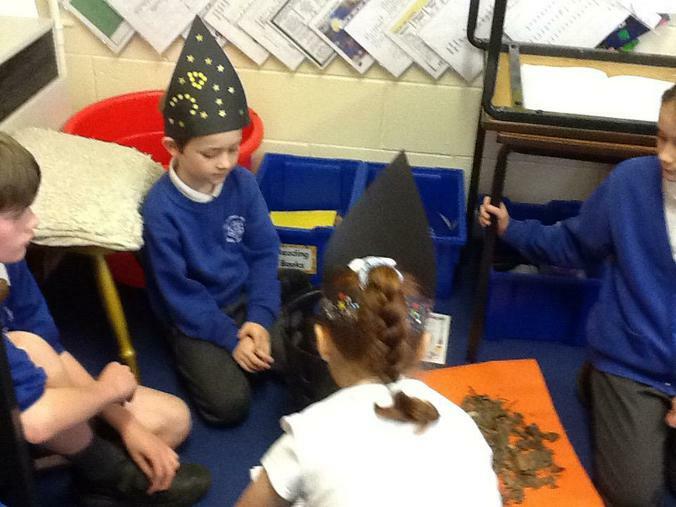 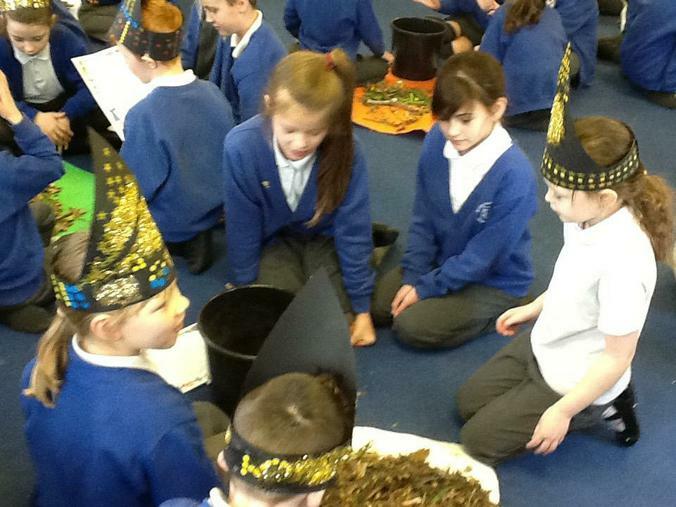 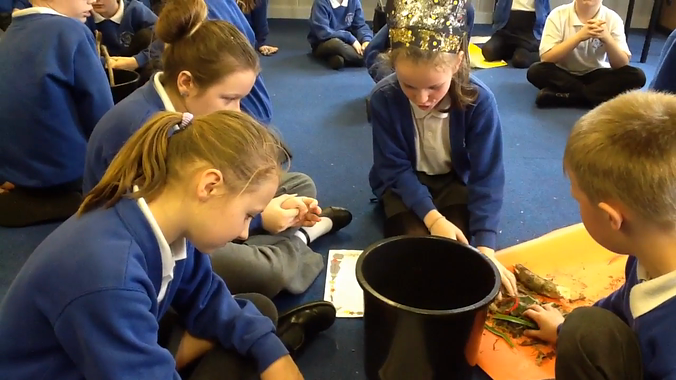 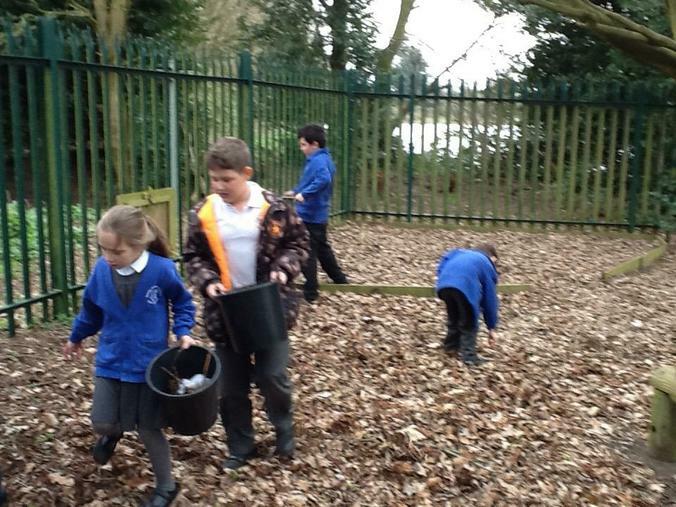 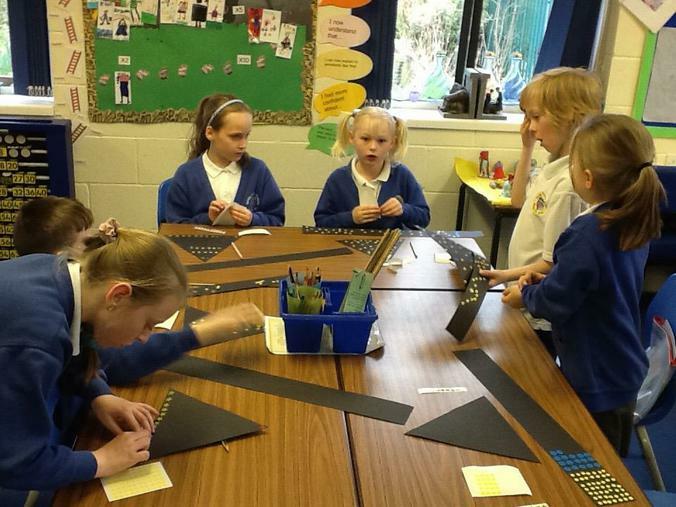 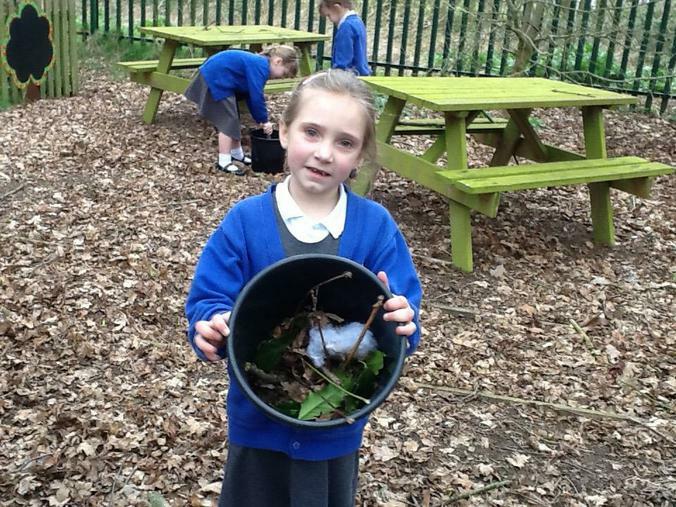 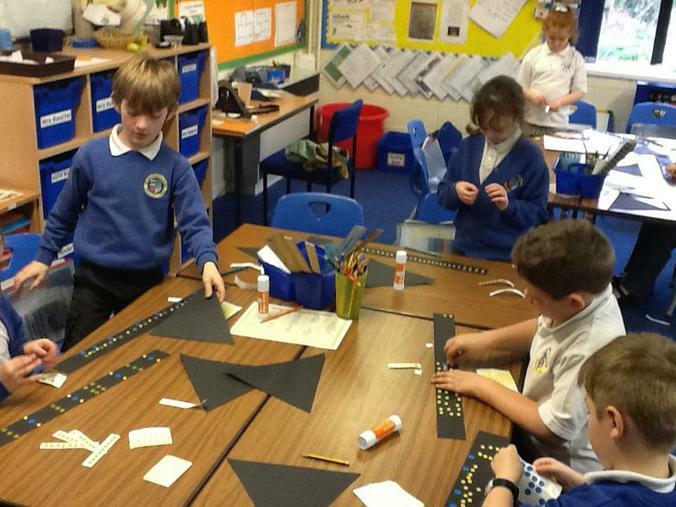 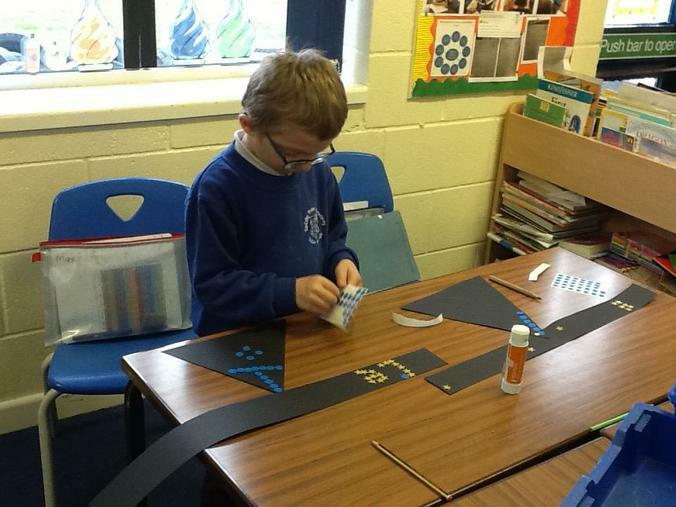 The next step was to create a witch's hat and gather the ingredients to add to the potion. 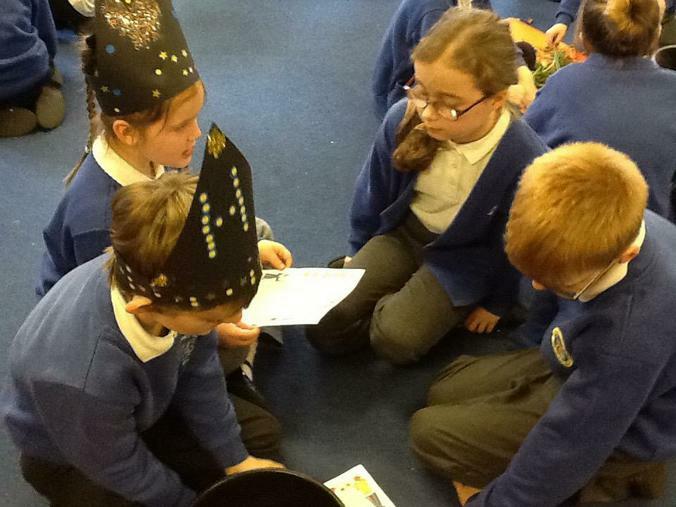 The final step was to perform their poem to the Year 5 class, helping their Year 5 group to learn the chorus and join in with creating the potion.